The first work in J.S. 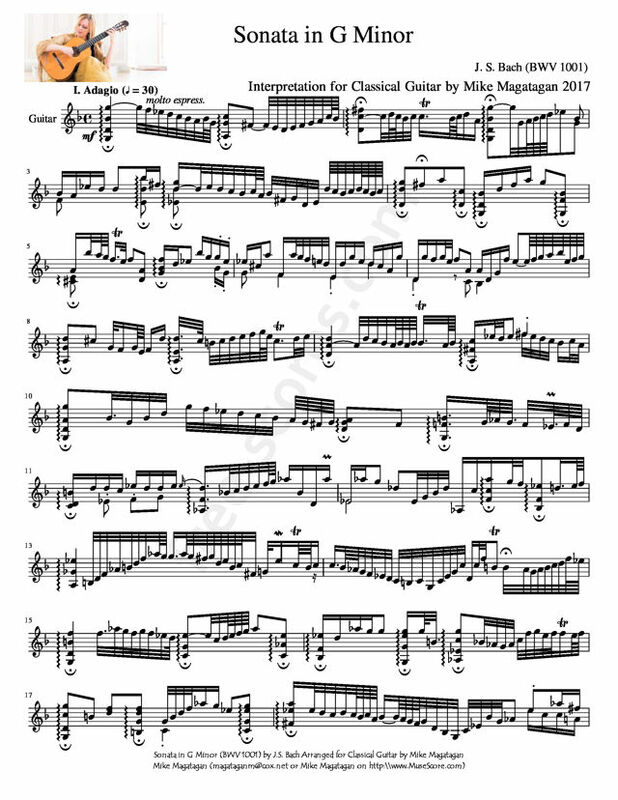 Bach's Sei Solo a Violino senza Basso accompagnato, Libro Primo (Six Solos for violin without accompaniment, Book 1, all composed in 1720 -- pity that he never fashioned a "Book 2") is also the most frequently played of the lot: the Sonata No. 1 in G minor, BWV 1001. 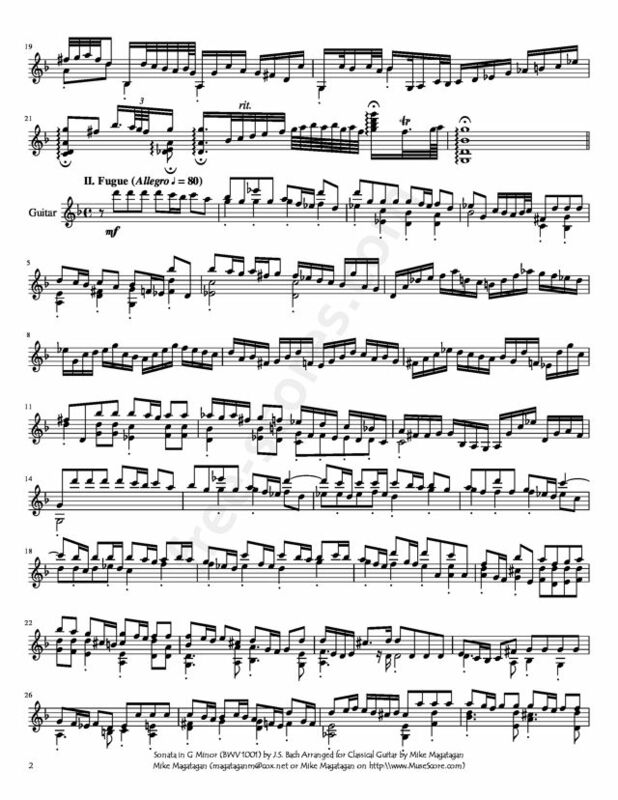 Of the three sonatas in the volume (there are three sonatas and three partitas), the G minor is technically the simplest and also the shortest, making it a good entry-point for the violinist looking to tackle this magnificent volume of music. 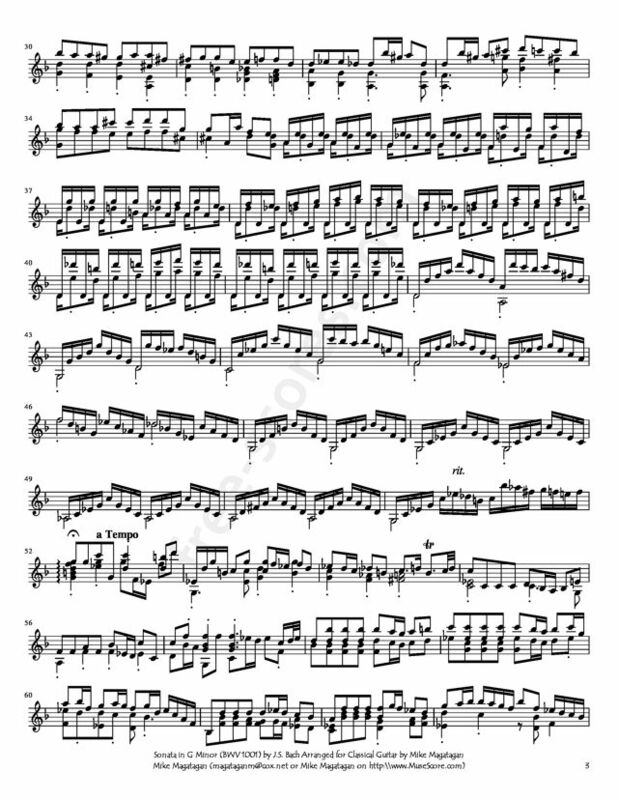 However, its greater accessibility vis-à-vis the other two sonatas in no way implies that it is somehow a less sophisticated piece of music -- indeed, its riches run as deep as those of any of the other pages in the volume, the great Chaconne of BWV 1004 included. 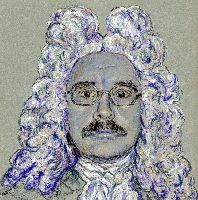 Each of the three sonatas for solo violin is set in the slow-fast-slow-fast four-movement pattern of the sonata da chiesa, and in each the second movement is a fugue. In BWV 1001 the movements are: Adagio, Fuga, Siciliana, and Presto. The Adagio is a wildly, but very elegantly, embellished progression of harmonies. 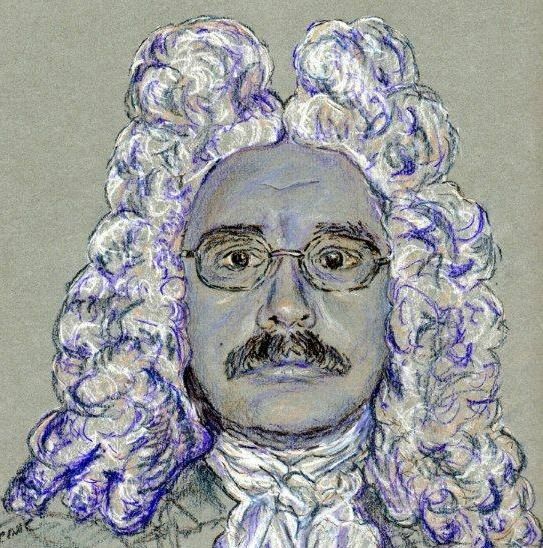 All the embellishments -- and embellishments mean not only little turns, appoggiaturas, and the like, but also whole melodic gestures, scales, and small arpeggios -- are written out quite carefully by Bach -- the result is a work that might sound improvised but is most definitely not. The G minor Fuga is the most compact of the three fugues in the volume (and note that these are not in fact fugues in the proper sense of the word, but rather a kind of fugue/Baroque-concerto hybrid form). It was transcribed for lute by Bach at some later time (BWV 1000). The Siciliana is a gentle thing in B flat major; the main melody is played in the lowest register of the instrument while a warm commentary unfolds in the upper register. The Presto finale is a moto perpetuo in sixteenth notes whose 3/8 meter has at times a hint of cross-rhythm to it. Although originally written for Lute. I created this Interpretation of the Sonata No. 1 in G Minor (BWV 1001) for Classical Guitar. 26 scores found for "Sonata in G Minor for Guitar"